When the users search the net, they look forward to finding new and fresh content. The search engines, hence try to come up with new strategies to get as much indexing done as possible. Google has come up with a new indexing system called Caffeine. This system came with the promise and guarantee of the availability of faster results and better indexation. Compared to the past, the indexing process has certainly become faster and more effective in the recent times. Be that as it may, there may be some problems in indexing while launching new web sites. If the old sites add new pages, they may face the same problem. There are some ways that you can use to boost up the indexing process of yourweb site or the new pages. The popular web sites have a high traffic flow to their sites. If you are able to add your links to these sites, it will get indexed better. If you have started a new site, link your home page to them and see the traffic flow increase. You can also add links from than and this will lower the time needed for indexing. If there are more links, the possibility of it being indexed also increase. Social media is also another portal that will help you get the indexing done faster. Though most of the links are no follow links in social media, but research shows that search engines do actually follow them and accelerates the indexing process. Xml and Html sitemaps: Technically the search engines should be able to extract the links from your site and follow them. But, if you want to ensure that this is done you can use the XML and the Html sitemaps for better results. You need to submit them to the webmaster consoles and the search engines. Also ensure that you keep these sitemaps totally updated and if there are any changes, resubmit them. If you want to get good results in SEO, you need to have a good link structure. If you face any problem with the indexing, you can check the link structure to see if it is working in the right order. Also check for duplicate content as it may seriously harm your site ranking and search engine indexing. Every search engine has web crawlers or spiders that play a major role in ensuring the visibility of the site. 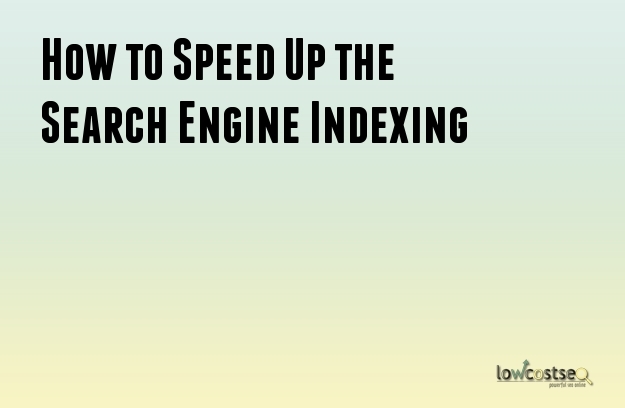 You can change the crawl rate if you want faster indexing. But, it will also increase the rate of traffic generation on your server. There are a number of search engine tools available on the internet that will help you manage your website. Each major search engine has their own tool like Bing Toolbox for Bing, Google Webmaster Tool for Google and Yahoo Site Explorer for Yahoo. If the tool is good, it will help you speed up the process of pinging and hence give better results.